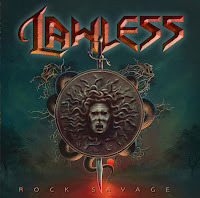 Rock & Metal 4 You: CD-Review: Lawless - "Rock Savage"
Let's bring back the 80's! That seems to be the idea of the guys from LAWLESS - a new Hard Rock band from the UK with members of DEMON and PERSIAN RISK. I've to admit I've never heard from Paul Hume (Vocals), Howie G (Lead Guitar), Neil Ogden (Drums) and Josh Williams (Bass) before, so I wasn't sure what to expect. Let's see if they can set a sign. 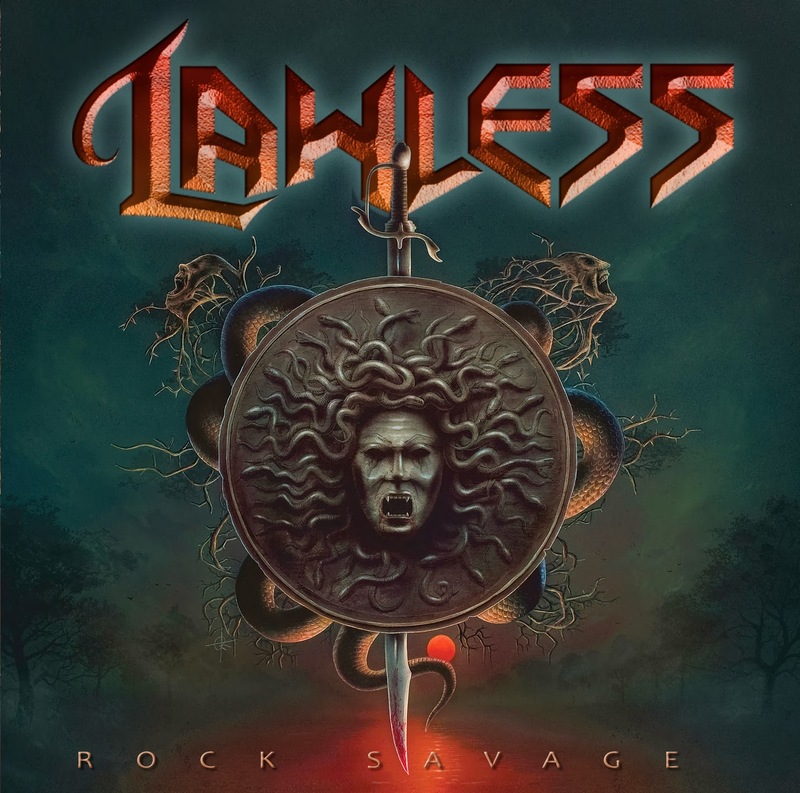 If you need a short impression on Lawless' sound: the bands influences are Gotthard, Queensryche, Dio, Saxon, Scorpions and many other traditional Hard Rock bands. With that said you know exactly what you get here: Some kind of mash-up from all those bands. Unfortunately, a unique sound remains on track. 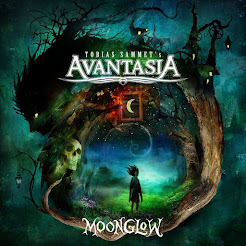 Guitar riffs, song structures and melodies are often repetitve and I also miss some big hooks in the chorus lines, but however ... the overall songwriting is solid and the whole record rocks. Songs like the pounding "Rock'n'Roll City", the catchy "Pretender" and the Power Ballad "Where Heroes Fall" show the big potential this band has to offer. But on the other hand you'll find also some fillers on "Rock Savage". "Misery" and "SOS" couldn't impress me much, due to the problems I mentioned above. Next thing: the lyrics on this album are very hilarious and offer one cliche after another. Just take a look at songtitles like "Heavy Metal Heaven", "Rock'n'Roll City" or "Metal Time" and you know what I mean. I don't expect profound lyrics on such a record but a bit more substance would have been great. Anyway, technically everything is fine. The album sounds punchy and volumnious. A tight rythm section and excellent guitar play complete the package. Lawless manage it very well to put their 80's mood into a modern production, so it never sounds too old and not too modern at the same time. The band has found a healthy balance, which makes the whole thing to an enjoyable listening experience. Paul Hume makes also a good figure on the microphone. Very often his powerful voice is supported by big choirs. Finally, the overall impression of "Rock Savage" is solid in every sense. These guys have lots of potentital and with more fine tuning in songwriting and a more unique sound I'm sure they will find their place and fans in the Hard Rock scene. People, who love the bands I mentioned above should check this album out. If you don't expect much innovations you'll get 55 Minutes of solid Hard Rock entertainment.